I successfully upgraded my Hackintosh to OS X 10.11 and it appears everything is working as expected including audio and Intel SpeedStep. I performed a clean install of El Capitan by using this guide; I was pleasantly surprised to discover that in 10.11 you can restore all of your applications/data/settings from a Time Machine Backup using the Migration Assistant. Initially I had trouble getting the new OS X installation to boot correctly; the Unibeast application used for making the installer has changed to the Clover bootloader. 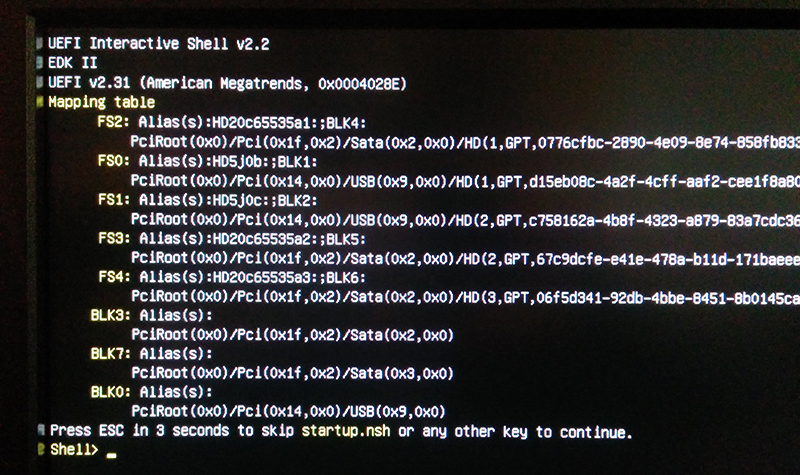 Clover has support for booting in UEFI mode and it seems some ASRock boards have issues booting from it. 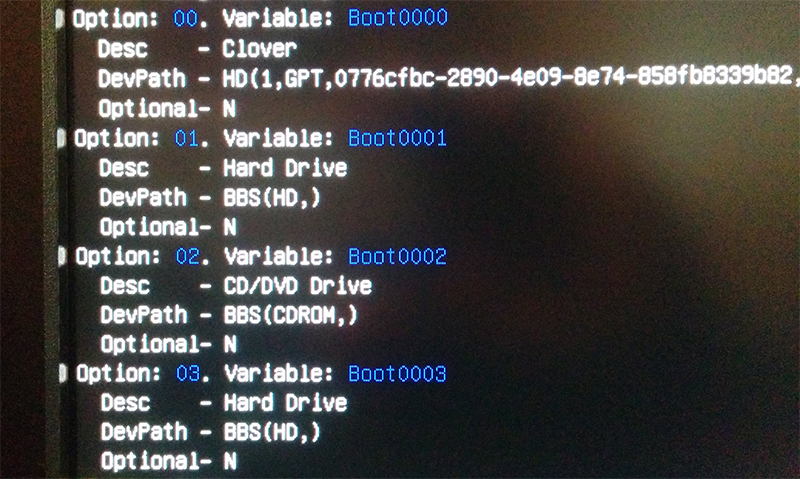 To fix this I had to create a manual entry for the Clover bootloader in my UEFI Boot menu; it’s not enough to just configure the drive as first boot device in the BIOS. I found the necessary commands thanks to the following guide (under section 4.1). On this screen we have entries for FS0, FS1, etc. which are the partitions detected; we need to find the one that corresponds to the EFI partition of the drive where OS X was installed. If you look at the strings beginning with “PciRoot (0x0)”, you will see some of them contain “/USB”; you can rule those out since that is the Unibeast USB. For my particular system I found the EFI partition under FS2. You should get output similar to the screen below; this is from my Hackintosh after I already added Clover to the UEFI Boot menu. # X is boot option number, use 0 if you want Clover first, 2 for second, etc. bcfg boot add X BOOTX64.EFI "Clover"
After going back into the BIOS, you can change your first boot device to Clover and OS X should boot normally.